INDIANAPOLIS, IND – Jimmie Johnson has entered the record books winning his fourth Brickyard 400. The only other driver to win 4 Brickyards is teammate Jeff Gordon giving Hendricks Motorsports 8 wins at the historic Indianapolis Motor Speedway. Johnson finished 4.758 sec ahead of 2nd place Kurt Busch. 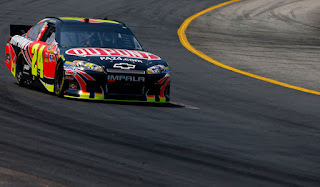 Greg Biffle rounded off the podium with a third place finish whilst Dale Earnhardt Jr. finished 4th and Jeff Gordon managed a 5th place finish. Johnson dominated the race. "Jimmie Johnson wasn't even in his own zip code Sunday; he was in his own country," Kurt Busch exclaimed. "The rest of the field has a whole lot of work to do, I can tell you that." Kenseth’s misfortune provided Dale Earnhardt Jr. with a gift. The resultant 30-point swing in the series shot Earnhardt to the top with 731 points and a 14 point lead over Kenseth. "I'm proud of that because it says a lot about our body of work," Earnhardt said. "All season long, we've been working hard and finishing well. That is symbolic of how well we've done. I'm proud of that. I have felt that way about our position in points all season long." Another unfortunate outcome from Sunday’s race was Carl Edwards. The Ford driver was fast all weekend and qualified on the front row. It was looking very promising, but only 11 laps into the race, Edwards says over the radio, “I think the engine is blowing up.” Dreams were shattered as he dropped to 12th place in the points standings, 61 points out of the Chase. “Now, that avenue appears almost certainly closed. "It makes decisions simpler. ... We just have to do what we can," Edwards said. "We have to plan to win these races. I don't think we can think about points anymore. I don't know what the spread is but it can't be good. That is what I am saying when I say it is simpler. We just have to go race for wins now." Is there any other way to race? Looking back historically, three other drivers have won 4 times at Indy; Rick Mears, Al Unser and AJ Foyt. One driver has won 5 times. 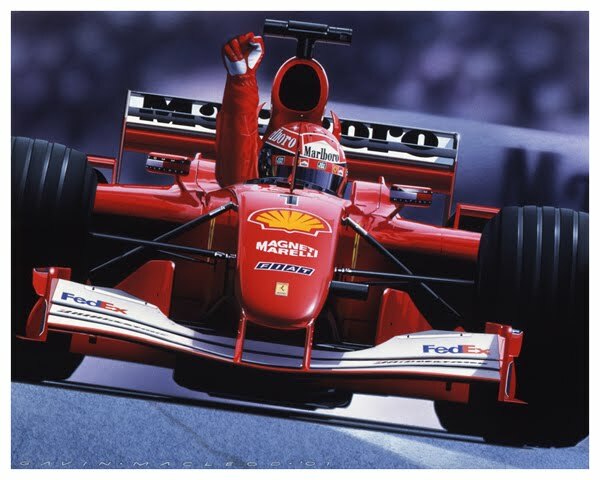 Michael Schumacher won the US Formula One race 5 times at the Indy track. The Hendricks 8 wins is very significant as the next best team, Joe Gibbs acing, has only managed 3. 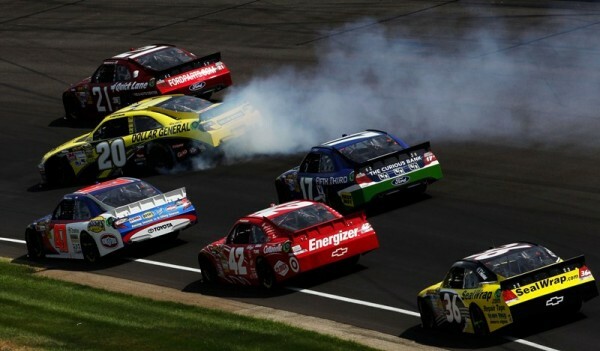 In related news, Roger Penske will be meeting with AJ Allmendinger to discuss his future with Penske Racing. The suspended driver has failed two drug tests. It is unclear at this point what Penske will do. Stay yuned folks. 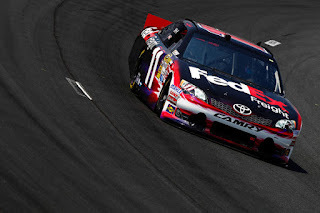 LOUDON, NEW HAMPSHIRE – Denny Hamlin was the dominant force Sunday at the Lenox 301. Leading the race for much of the first half, Hamlin lapped the likes of Tony Stewart, Jamie McMurray and Paul Menard and at one point enjoyed a 5.5 sec lead on second place Kasey Kahne. By lap 187, Kahne had closed up the gap to 2.6 seconds when the NASCAR caution flag waved due to debris on the track. A blown engine for Reutemann on lap 232 brought the flag out again and Hamlin made a visit to the pits. Unfortunately for Hamlin, a miscommunication between Denny and Crew Chief Darian Grubb led to taking on 4 tires instead of 2, resulting in a loss of 12 positions. Undaunted by the sudden change in the race, Hamlin still had the fastest car and 4 fresh tires, so started a final fight to the front. By Lap 253, Hamlin had climbed to sixth. On Lap 257, he got by Biffle in Turn 1 for fifth. He took Harvick by Lap 263, Earnhardt on Lap 272 and Bowyer on 277. 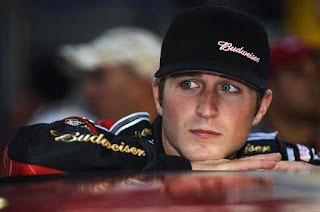 Kahne commented, "I was definitely focused on the lapped cars I was going by and how I could clear them quick," Kahne said. "But I lost a ton of forward drive, and I was getting pretty loose, and Denny was coming on four [tires].” Now running in 2nd place behind Kahne, Denny made steady progress, but 24 laps was just not enough. Denny seemed to take the missed victory in stride, “Just that small communication messed us up a little bit, but nothing's a given. Even though it was pretty obvious that we had a win in the bag if we took two tires, you never know what could have happened. Either way, we had a great day, and we're going to build on it." Matt Kenseth finishing 13th maintained his championship lead by 16 points in front of second-place Earnhardt, with Biffle in third, 40 points back. 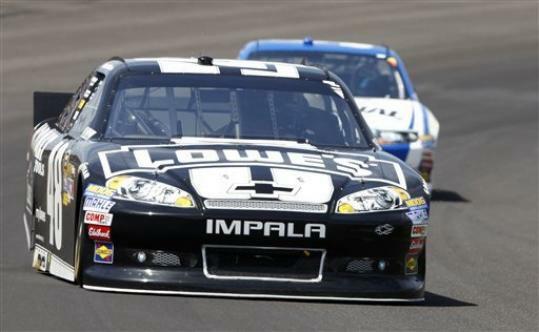 Jimmie Johnson and Denny Hamlin are in fourth and fifth places. % places are fixed for the Chase. Kahne’s win at New Hampshire places him as the top wildcard. In other NASCAR news, AJ Allmendinger tested positive last week for a banned “stimulant” during a random drug test. Allmendinger has asked to have the other half of the test sample tested to see if there was some test anomaly. Penske has said that if the test is clean, AJ will be behind the wheel of the 22 car. “We're just waiting to get the second test results,” he said. “The situation will take care of itself, so I'm more concerned about A.J. as an individual... if A.J. 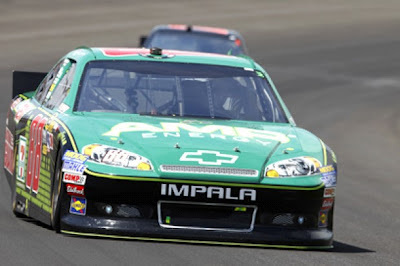 's clean, he'll absolutely be in the car at the next race.” ( http://www.autoweek.com/article/20120715/nascar01/120719910#ixzz20oknk1oF ). Also, Jeff Gordon is enroute to Rwanda for an opening of The Butaro Cancer Center of Excellence with funding from the Jeff Gordon Children’s Foundation. He will be attending with former President Bill Clinton to raise funds and awareness of cancer on the continent. "I'm excited," he said. "It's going to be a very short trip, but it's one that I'm really looking forward to getting back there. It's such a beautiful area." 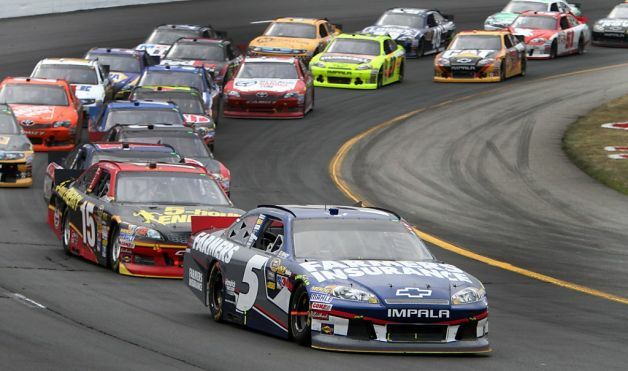 ( http://www.autoweek.com/article/20120715/nascar01/120719909#ixzz20oloj1Zg). 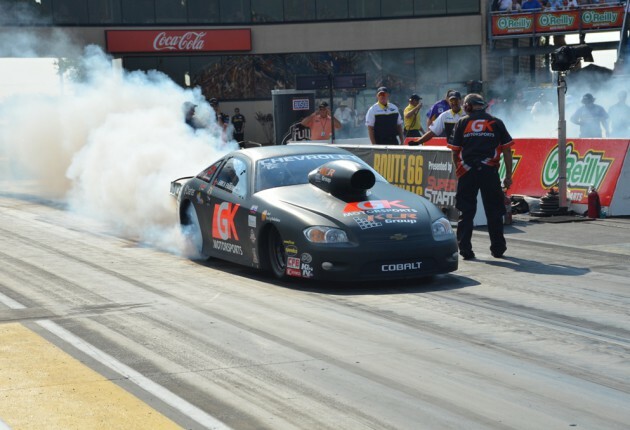 Enders Makes Pro Stock History! CHICAGO, IL – It isn’t often that Greg Anderson gets beat in the final round of eliminations. But it has never been the case to say that a woman did it! Erica Enders, only the sixth woman to compete in NHRA ProStock, has become the first female driver to win an NHRA ProStock event. One-by-one, Enders took out Kurt Johnson, Vincent Nobile and V. Gaines to be matched up against ProStock points leader Greg Anderson in the final round. Erica ran a 6.627 sec, 207.40mph run against Andersons more-than-respectable 6.641 sec, 208.36 mph run and made history. 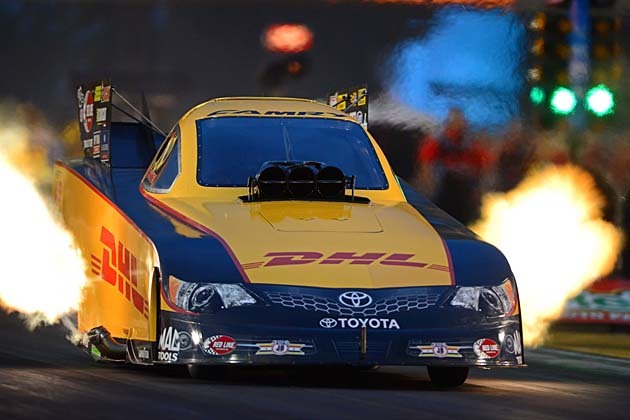 “It’s awesome,” said Enders, who becomes the 12th female to win an NHRA Pro category race. “I think that if I could have planned it, I would have asked to run Greg in the final. You know that he made it very clear that he didn’t want to lose to me. He’s a very competitive guy, and I love him to death, but I couldn’t wait to beat him. I’m glad [the win] came here in Chicago. I had my first final in Pro Stock here in 2005, and so it was nice to circle back around and get it done here. Pro Stock is tough. It will humble you in an instant… I can’t say enough about my guys [crew]. They’re amazing, and I love them.” That also was not Erica’s only special moment of the weekend as her boyfriend and drag racer, Richie Stevens, proposed marriage to Erica. 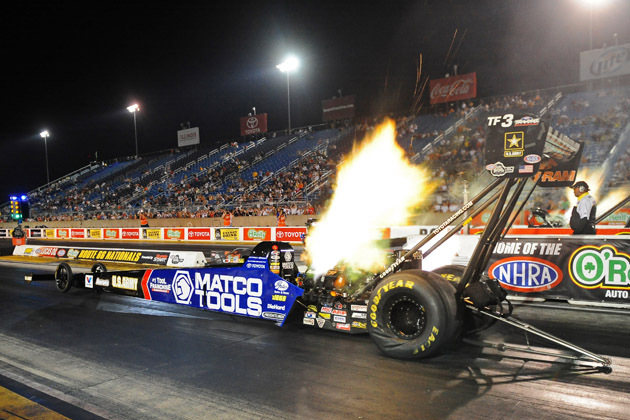 In Top Fuel, Antron Brown took top honors with a final round victory over Steve Torrance. It was an easy victory as Torrance fouled at the start. Browns’s team was also celebrating as it was announced that team-owner Don Schumacher will be installed in the International Motorsports Hall of Fame. “What he [Don] has done for the sport, and our teams, is amazing” said Brown. Jeff Arend achieved his first Funny Car win of the season defeating Courtney Force in the final round. Jeff clicked off a 4.131 sec, 309.20 mph blast against Courtney’s 4.454 sec, 272.67 mph, easily winning the match. This was a real team effort this weekend,” Arend said. “I didn’t do the best job as a driver, at least not with my lights, but we were able to get it done. We hope that you all had a great 4th of July celebration. Though it sometimes feels that the world is out-of-control, and that politics sometimes gets in the way of progress, we can rest assured that we live in the finest country “on God’s green earth.” 236 years ago, 57 brave men signed the Declaration of Independence with a solemn promise, “In support of this Declaration we mutually pledge to each other our lives, our fortunes, and our sacred honor.” This constituted a treasonous act and as such, these men were wanted men, sought by the Commander of the armed forces of the most powerful nation in the world. What could possibly cause these men of wealth and stature to put everything on the line? Just one simple word, Truth. 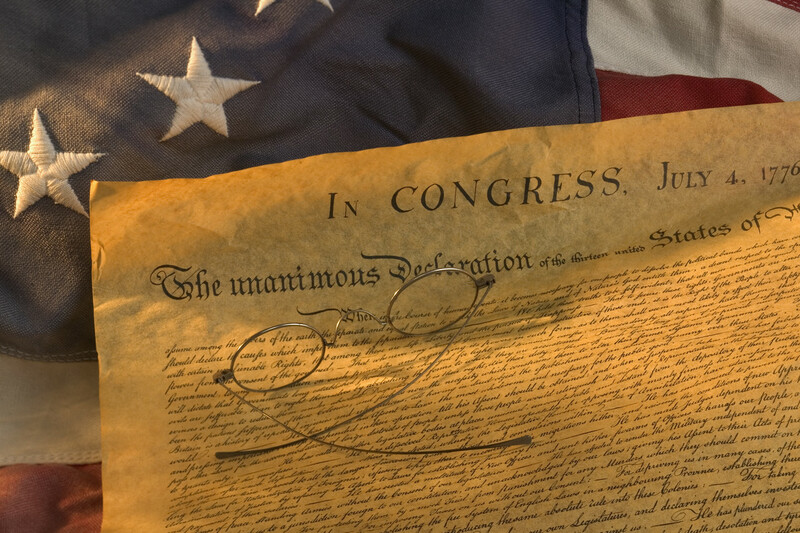 The Declaration begins with the words “When in the course of human events, it becomes necessary for one people to dissolve the political bands which have connected them with another, and to assume among the powers of the earth, the separate and equal station to which the Laws of Nature and of Nature’s God entitle them …” It is a statement of absolute truth that we can find hope and solace. These truths are not based on the whims of man, but on the solid foundation of the God of the universe. We should also place all of our faith and trust on this Truth.